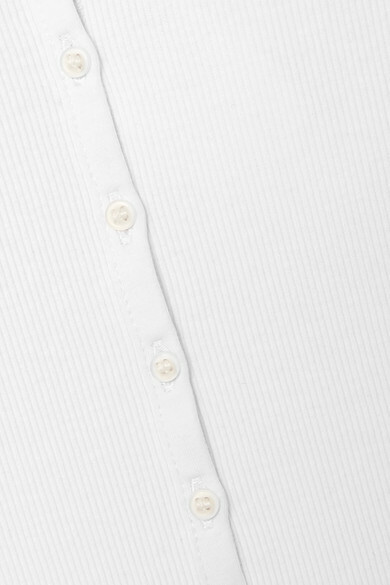 Ninety Percent's top is made from ethically and sustainably-sourced organic cotton - the brand's initiative to #dressbetter means it donates 90% of its profits to a charity of your choice. 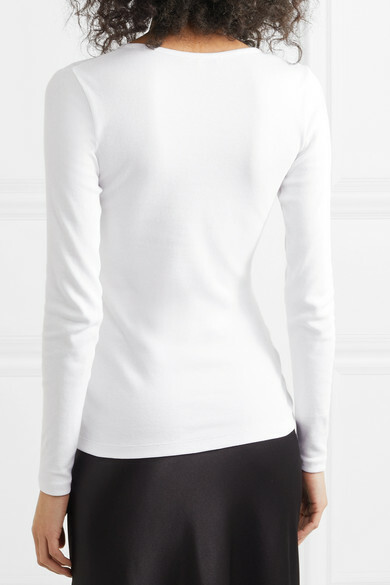 This style is ribbed and lightly blended with stretch for a slim fit. Unfasten a few buttons and tuck yours into denim or tailored pants. 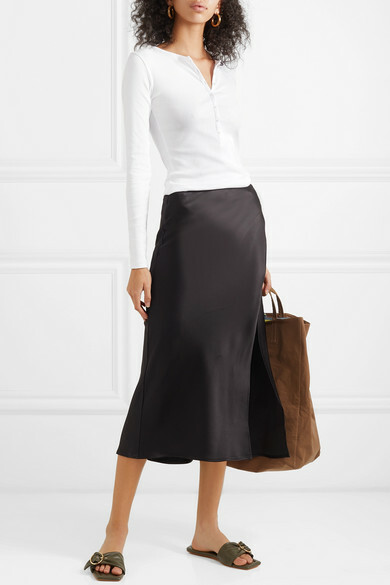 Shown here with: Acne Studios Tote, Nanushka Slides, Anine Bing Skirt, Laura Lombardi Earrings.